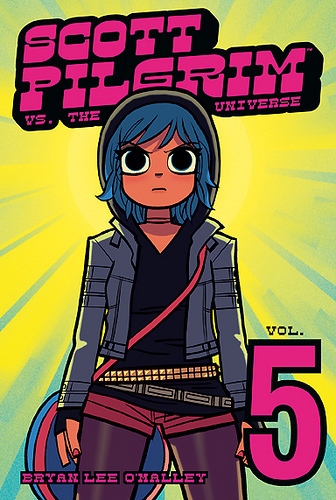 Vol.5 Scott Pilgrim vs. The Universe. . Wallpaper and background images in the Scott Pilgrim club tagged: scott pilgrim comic book comics covers scott pilgrim vs. the universe vol.5. This Scott Pilgrim photo contains anime, comic book, manga, and cartoon.